2018 is not just the "mid-terms" and it's certainly not an "off-year". For NC, it's essential. Our best opportunity to break the supermajority and restore the governor's veto power is to focus on the NC House - where Democrats need a net gain of 4 seats to break the supermajority and 15 seats to pull even. In Wake County there are 5 flippable districts (click through to read more about what that even means ;) 3 House Districts & 2 Senate Districts. They are all quite similar - each lies in rapidly growing suburban parts of the county; all have been trending more Democratic over recent elections; and Roy Cooper lost by the slimmest of margins in these (newly-drawn) districts in 2016. If we can flip even the 3 House seats in Wake County, then NC only needs 1 more to break the NCGA supermajority! Meet Wake County's Flippable 5! House NC-H35 - Terence Everitt ran against the incumbent, Chris Malone, in 2016 and lost by fewer than 3,000 votes. A husband and father of two, he is an attorney who specializes in helping small businesses. He’s also a member of the board of directors for the Wake Forest Area Chamber of Commerce. This district covers Northern Wake County/ Wake Forest/ Rollesville. Sign up to volunteer and/or make a donation at terenceeveritt.com. House NC-H36 has been represented by Republican Nelson Dollar for 7 terms, which we can all agree is long enough! Thankfully, Julie Von Haefen has stepped up to the plate to challenge him. A former attorney and guardian ad litem, she’s best known for her work in public education. The mother of three children who attend three different Wake County public schools, Julie is the immediate past Wake County PTA president. This funny shaped district covers Southern Wake County/ Apex. Sign up to volunteer and/or make a donation at juliefornc.com. House NC-H37 - Sydney Batch, a family law attorney, social worker, and fierce advocate for children. A native North Carolinian, she runs a law practice with her husband. Sydney is an inspiring woman, mother of two young boys, and community leader. We are sad to report that she is currently taking a few weeks off for breast cancer treatment, but she has an army behind her to work hard in her absence. This district covers Southwestern Wake County/ Fuquay-Varina/ Holly Springs. Watch her moving video, sign up to volunteer and/or make a donation at sydneybatch.com. Senate NC-S17 - Sam Searcy. This Senate district overlaps with House districts 35 Julie & 36 Sydney. When he got laid off about a decade ago, Sam went to work for Lowe’s Home Improvement before starting two small businesses. He’s also the first in his family to graduate from college. So he knows what it’s like to struggle, and he understands the importance of education. Now at just 40 years old he is a very successful vodka distillery owner! [FYI - Sam was originally planning to run for U.S. House District against George Holding, but when Linda Coleman emerged, Sam felt she was an excellent candidate for that seat and graciously backed out of that race.] Sign up to volunteer and/or make a donation at samsearcy.com. Senate NC-S18 - Mack Paul is a native North Carolinian, a real estate lawyer, and the former chair of the Wake County Democratic Party. He's been very active in local politics for a long time, having worked very hard behind the scenes to help elect progressive people up and down the bench. On a personal note, AFAR has a few friends on his field team and we are eager to support their very hard work! This district covers central Wake County & Franklin County. 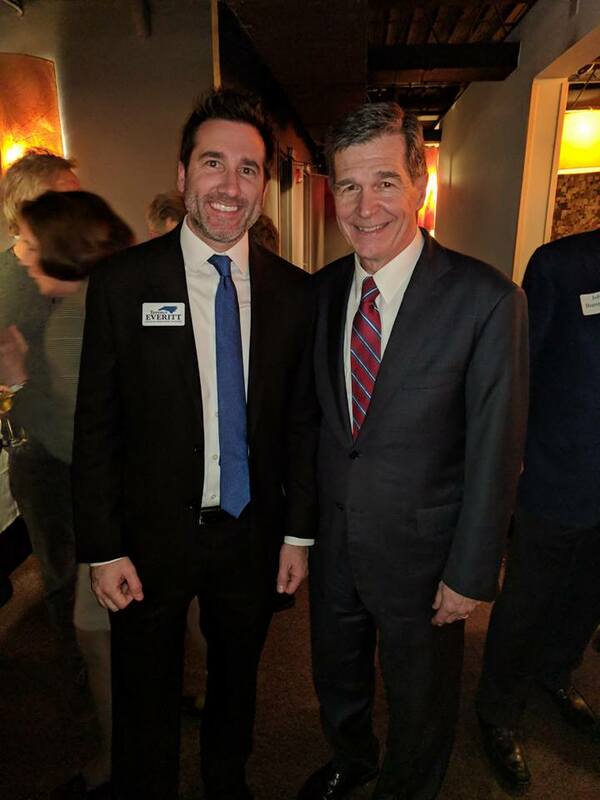 Sign up to volunteer and/or make a donation at mackfornc.com. For the FULL scoop on House Races all across NC, check out this amazing blog post from FlipNC. The candidates are diverse, inspiring and give us great hope for our future! Newer PostFriendsgiving 2018- Join us!